Pour microwave popcorn into a large bowl. 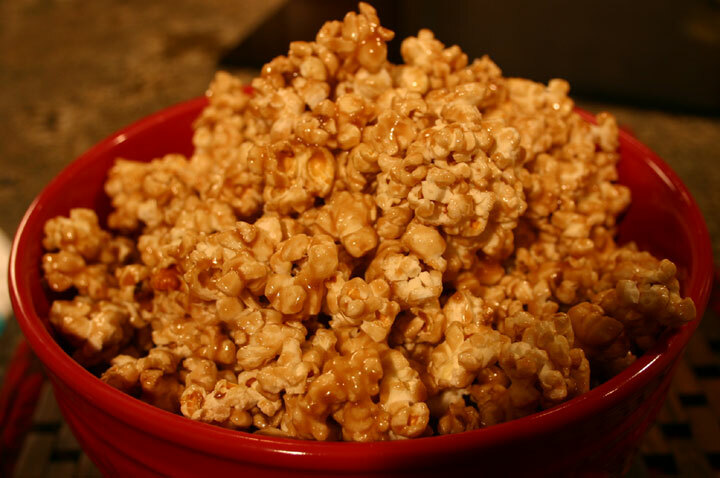 Transfer it to another large bowl with your fingers to remove all un-popped kernels. Mix butter, sugar, syrup, and salt in a sauce pan and bring to a boil. Remove from heat and add vanilla and baking soda. Pour over popcorn and mix to coat. It�s delicious! !